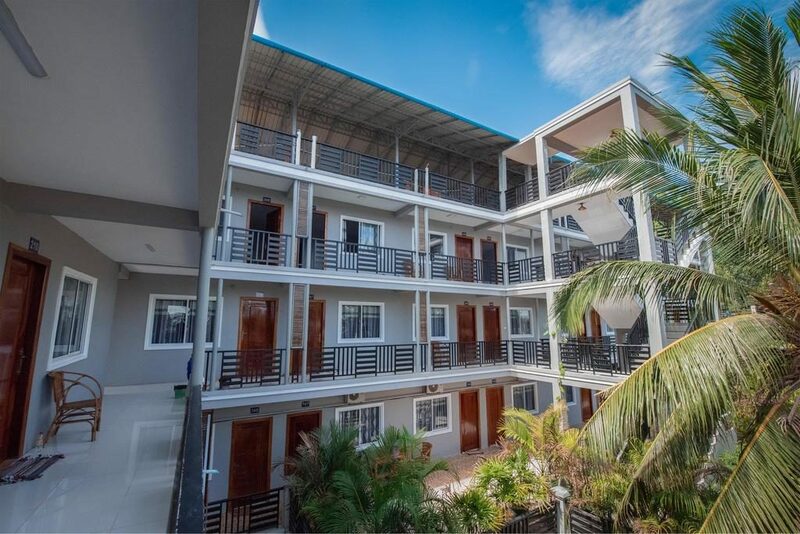 The Koh Rong Boutique Hotel offers visitors, who are on the island for business or pleasure, a chance to stay in the middle of town near numerous activities and attractions. 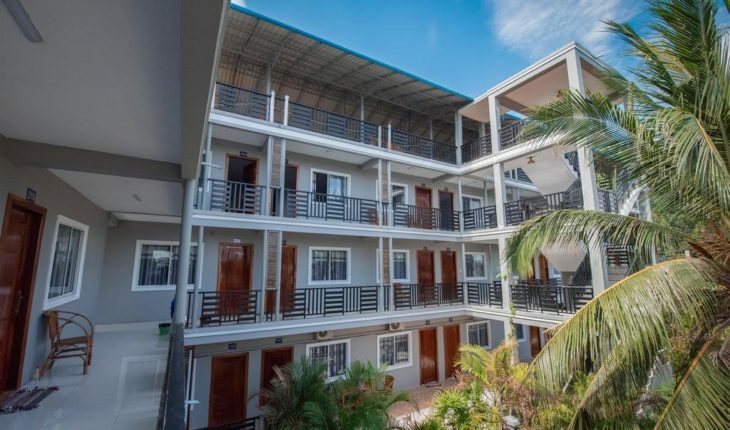 Guests will feel right at home when they arrive at the Koh Rong Boutique Hotel, because it looks quite like a large apartment building complete with balconies and all the little touches that create intricate details that improve the days and nights of those who stay there. There are thirty-nine incredible rooms at the Koh Rong Boutique Hotel and guests can choose between a twin room with two beds and a regular room complete with a king-sized bed. The rooms are all quite spacious and come complete with large bathrooms, air conditioning, and breathtaking views of the sandy beach, the water, or the courtyard. Every guest receives a free drink upon their arrival, and everyone will be thrilled with their immediate access to the complimentary wireless internet. There are many other amenities and services that each guest can take advantage of during their stay. 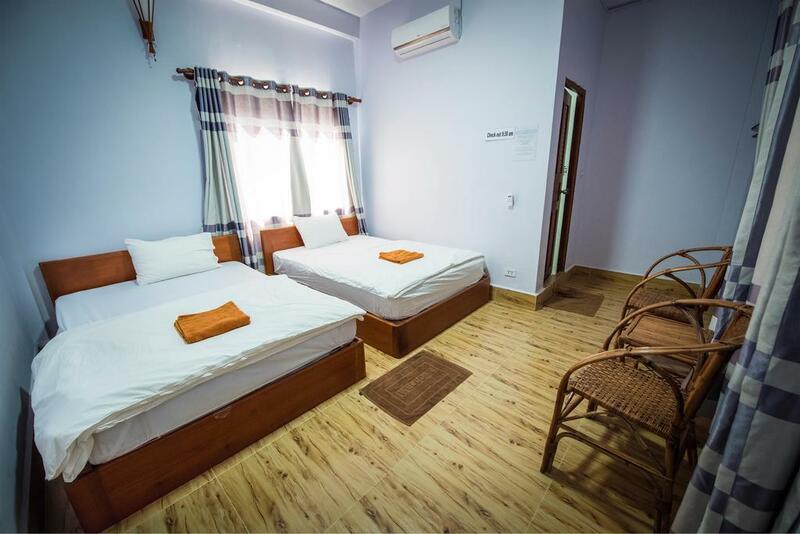 The best features of this hotel though are the recreational activities that include boating excursions, fishing trips, diving trips, and much more. 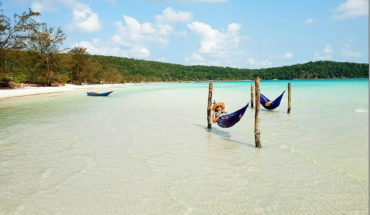 Travelers can fly directly into the Sihanoukville International Airport, which is a little more than thirty-eight kilometers away, and then they can climb aboard a speedboat to take a ride over to Koh Rong. 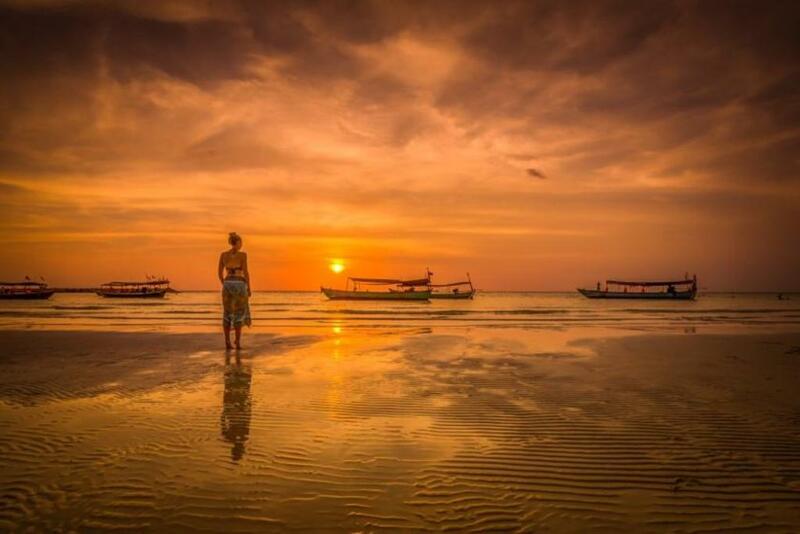 Guests who stay at Koh Rong Boutique Hotel will find that they are so close to many popular landmarks. One of the favorite landmarks and attractions is the Police Beach Party, which is just over three kilometers from the hotel. 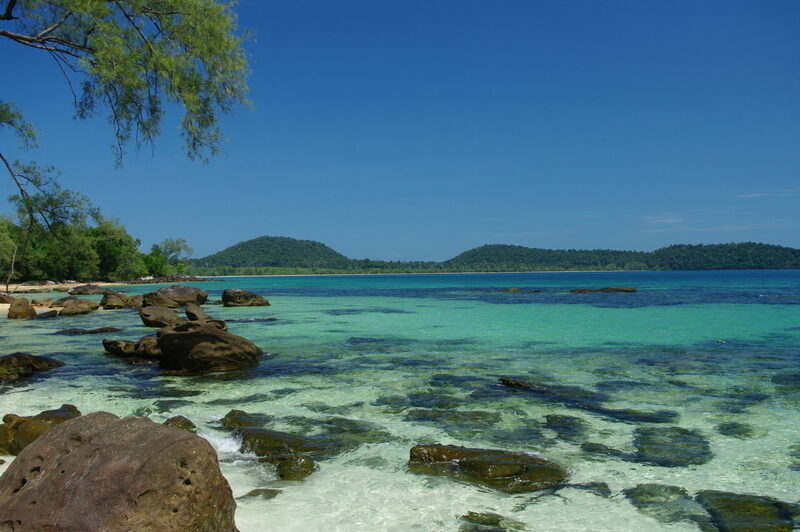 Most guests will find themselves taking the two-minute walk to the Koh Rong Dive Center at some point during their stay, so that they can finally take their first diving class and learn how to go deep down into the water with the local marine life. This hotel is also just a couple minutes’ walk from the High Point Adventure Park. The Koh Rong Boutique Hotel is only steps away from Tui Beach as well, so every guest will find that they have plenty of reasons to sink their toes in the sand during their numerous trips down to the water and beach area. 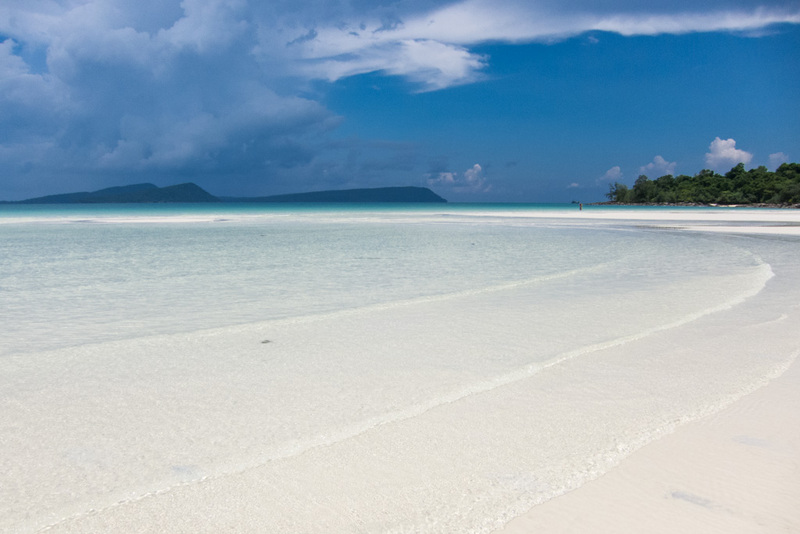 Tui Beach is also known as Koh Touch Beach and it is one of the busiest beaches in Koh Rong. This beach has shimmering white sand that leads down to sparkling clear water and it is amazing at how clean the locals keep this beach. The glowing plankton can be found way out in the water from this beach, but most travelers will want to venture to other areas of this island for the best views and bioluminescence experiences. The reason for this is that the Tui Beach area is often brighter than many of the other areas at night, which makes it difficult to see the plankton glowing up near the shoreline. No one should ever try to swim out to find the plankton when visiting Tui Beach, as it can be dangerous to be in the water under the dark skies. Those who want to see the plankton in this area are encouraged to hire a boat to take them out in the water instead, as it is safer. During my visit, I found that the Koh Ron Boutique Hotel is still under construction. I didn’t think that my room, one of the ten on the second floor, had much of a view, however, since we were only less than two hundred meters from the beach, I was able to overlook that fact. We stayed for an entire week, and during that time, I found that the woodwork on the stairways, balconies, and flooring was gorgeous. The hotel is hoping that the construction work will be completed shortly and that a few of the newer rooms on the third floor will have better views for guests. The street that the Koh Rong Boutique Hotel is on is slightly dumpy and filled with trash, but no one should let that distract them from the beauty of this hotel. I was happy that there were plenty of ducks and chickens to see nearby as we walked down to the beach area. We loved staying on this island, but we found that the Koh Rong Boutique Hotel may need to change a few things before we would go back. Our room had no television or remote, an outdated check out time listed on the wall, and was in dire need of updates. The hotel staff did state that there would be renovations in the near future and that same staff did give us the proper check out time after us asking for clarification. We loved the location of this new hotel, but the staff desperately needs some additional training to make it worthwhile of future visits from us. We actually passed wet towels on the hallway floors multiple times and picked them up ourselves since the staff wasn’t doing it as part of their job. We knew that the Wi-Fi was complimentary with our room and finally persuaded the staff to give us the password. However, once we used it that one time, the password was changed, and we were not given access to it again during our stay. As I said, we loved the location due to its proximity to the ferry, and our room, 312, is the hotel’s prime location with awesome views. The Koh Rong Boutique Hotel has received some not so stellar reviews in the past, but due to the renovations and other measures, this hotel is better than ever. Guests will feel that their travel time is well spent at this hotel, especially since they can do so many local activities without needing to travel too far. Of course, since this hotel is in the party area of the island, some travelers will be thrilled that they can be part of it all without worrying about spending lots of time walking to wear the fun is at. 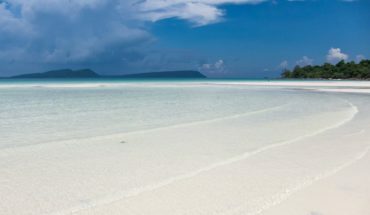 A Few Things One Should Know Before Visiting Koh Rong.